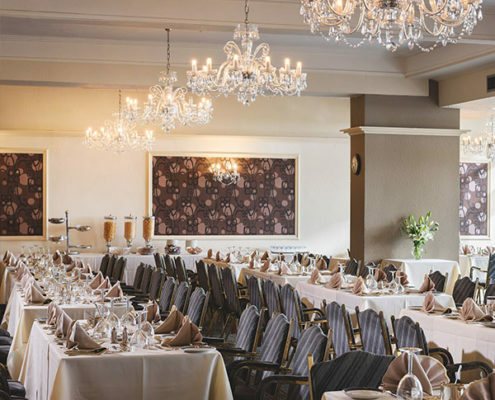 Overlooking the Atlantic Ocean, The Kilbirnie Hotel features an indoor heated and outdoor plunge swimming pool, fully equipped fitness suite, and a secluded sun terrace. A large sauna, jacuzzi and a full sized snooker table are also on site. We have a bright and contemporary conference suite, with Wi-Fi, a large screen for laptop presentations and scenic views of Barrow fields. 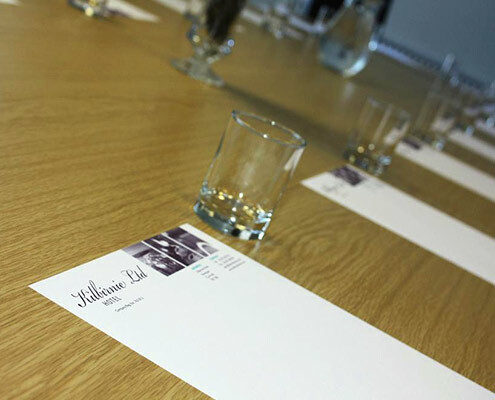 This boardroom style set up holds a capacity of 25 pax. We also have a theatre style conference facility with a capacity of 100. Wireless broadband Internet, laundry and ironing facilities are also available free of charge. The Conference rooms are Wi-Fi broadband enabled including a large screen for presentations with laptop and whiteboard. Conference Room 1 has a capacity of 25 pax (boardroom style). Conference Room 2 has a capacity of 100 pax (theatre style). Conference Room 1 hire including tea/coffee is £75 per day. Day delegate rate including tea/coffee and lunch is £20 pp. At Kilbirnie we cater for wedding parties of all sizes. Take advantage of the spectacular scenery for your photos and party into the night in the ballroom. Further specialist breaks are available. Please phone for details.